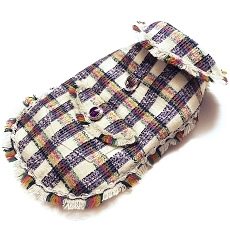 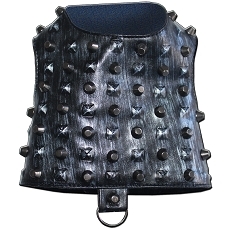 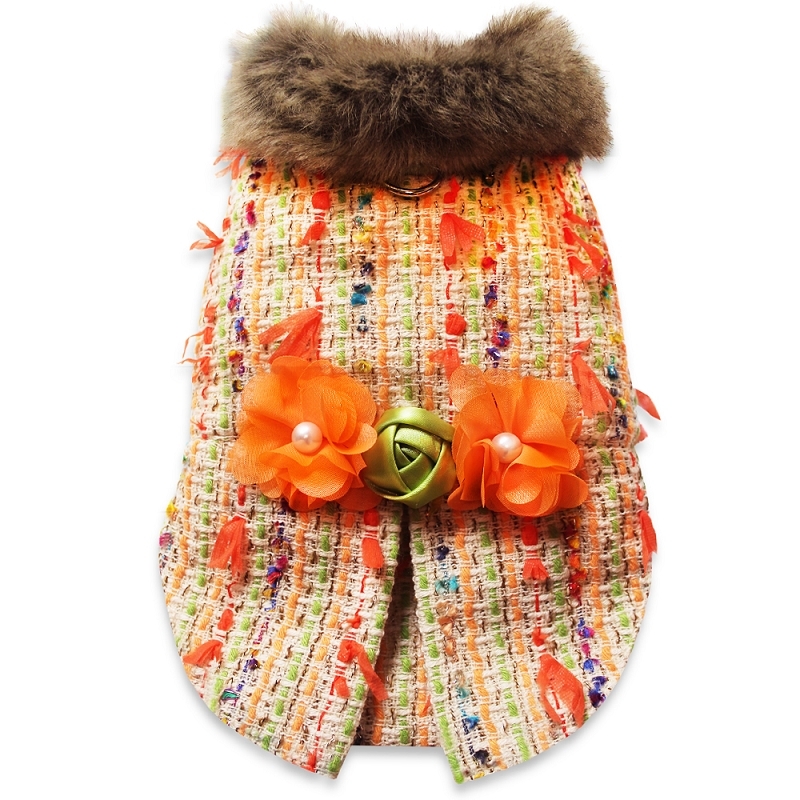 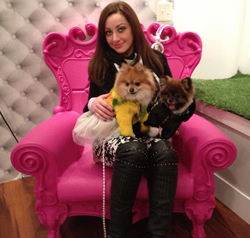 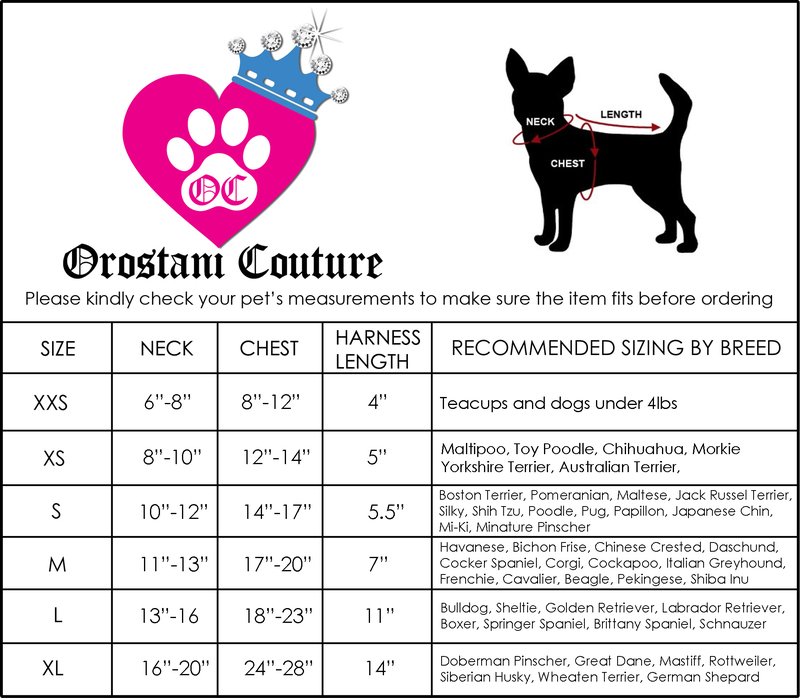 This classy and chic designer dog coat from Orostani Couture is a perfect addition to any pet fashionistas wardrobe. 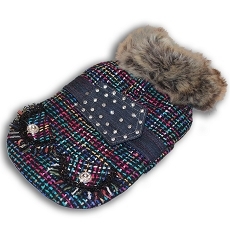 Created from orange multicolor designer Marc Jacobs tweed for the ultimate in luxury for the high maintenance diva dogs and their fashionable owner. 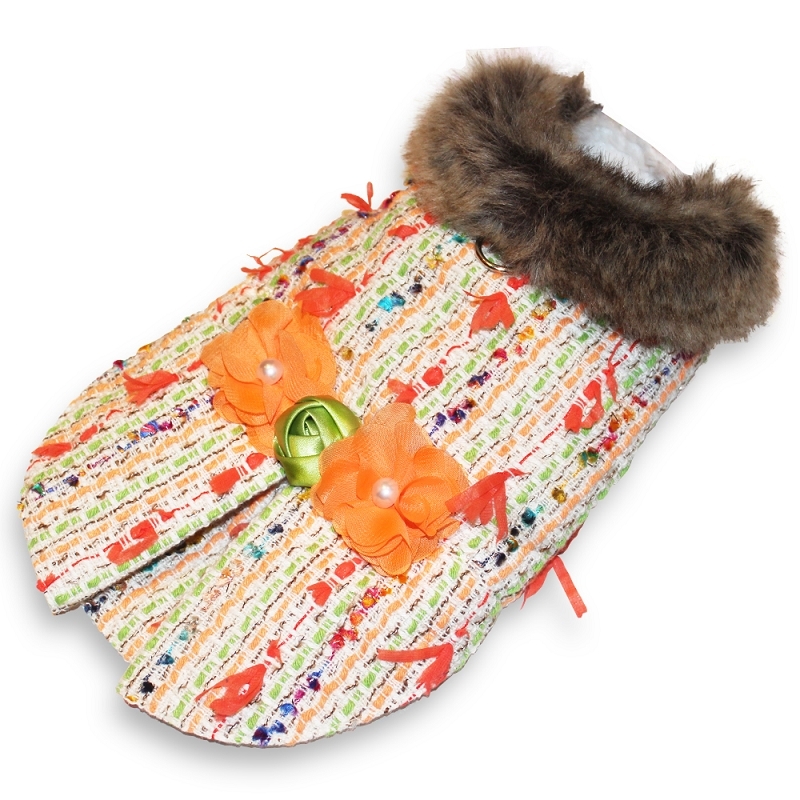 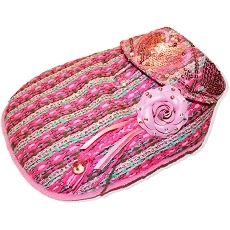 This design will not only keep your fur baby warm during the cold winter months but will be the talk of the room. 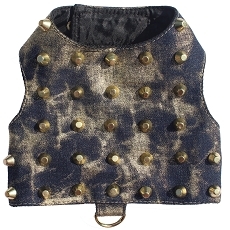 Hidden leash attachment at back under the hood. 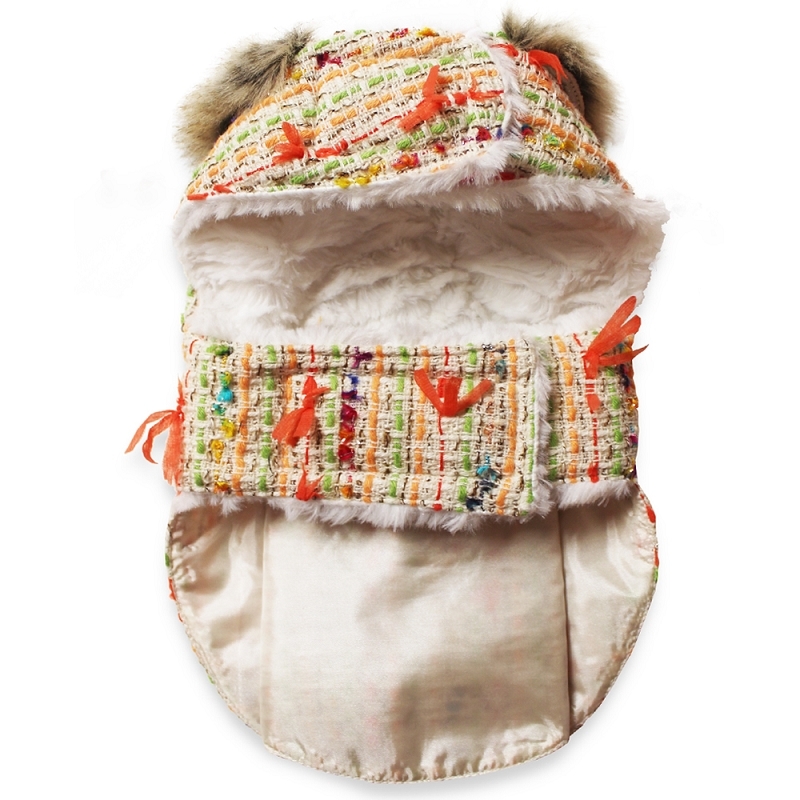 Adjustable velcro closure around neck and belly. 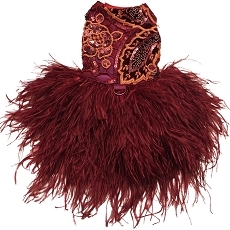 This design is a very limited edition made to order Orostani Couture original.